The Golden Age of theater is alive in the old fashioned romp Reading Between the Lies. 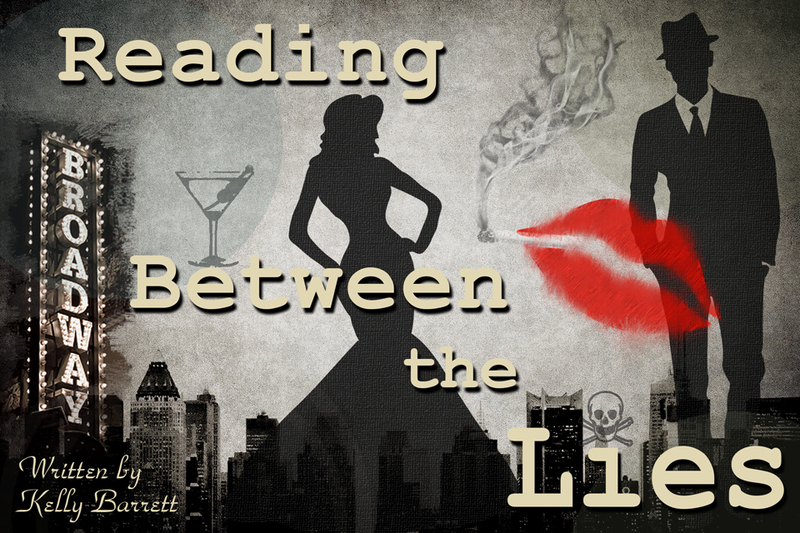 Written by Kelly Barrett, Reading Between the Lies is an theater-lovers' comedy set in the 40s where a group of theater vets meet to read a new play at the home of a producer. When one of them ends up dead on the floor, it's a who-dun-it crime caper. Where the comedy shines is through Barrett's characters. Sure, they borrow well-crafted features from archetypal characters, they all have strong objectives and well-formed relationships. Each character is there for a purpose and do not get relegated to furniture. The plot, until the secret upon secret extravaganza of Act II is revealed, is easily to follow and pretty fun. Allowing the audience to get in on the action of solving a crime is always a smart idea. But you may need a cheat sheet to follow the facts as there is a lot to remember. While it may not be brand new conceit, it certainly is exciting to watch. The farce requires strong comedians. Thankfully, Reading Between the Lies had a capable ensemble taking on the heightened style. Standing out in this bunch is hard but as off-her-meds aging child star Betty Blue, Wende O’Reilly was extraordinary. O’Reilly has the timing of a comedic veteran and delivered the one-liners with ease. The other dynamo was boozy diva Kitty played by Teri Monahan. The sarcasm and jabs Monahan offered brought the house down. As the nurse with the double secret, Anna Wallace-Deering played into her various levels well. She transformed from persona to persona easily, maintaining her objective with each. As the flamboyant and ridiculously named Cort Birdie, Kurt Roediger brought side eye to the 1940s. The glances alone could start a meme trend. The remainder of the men were fine but it was Carl Gibson as Detective Cross who seemed lost. Sure, we learned a lot about his character at the end, but he just lacked conviction. Barrett, who took on the role of Gwen, was a good rival to Monahan's Kitty, one-upping each other at every turn but Barrett was better suited as the scribe. Director Schnele Wilson had pretty strong material to work with. Where she struggled was with tempo. Farce requires amped up speed with a tinge of physical comedy. Wilson and her crew needed to double time their delivery. The mystery and intrigue were there, it just needed to come faster. The staging was simple and Wilson was able to allow the large ensemble not feel stuck. Reading Between the Lies is certainly meant for a certain demographic. The nostalgia-seeking crowd. It fits the mold of the time but why this play now? Though it was pretty solid, this is a play destined for subscriber-based regional houses, and that's about it.